Thank you for letting me join the forum. 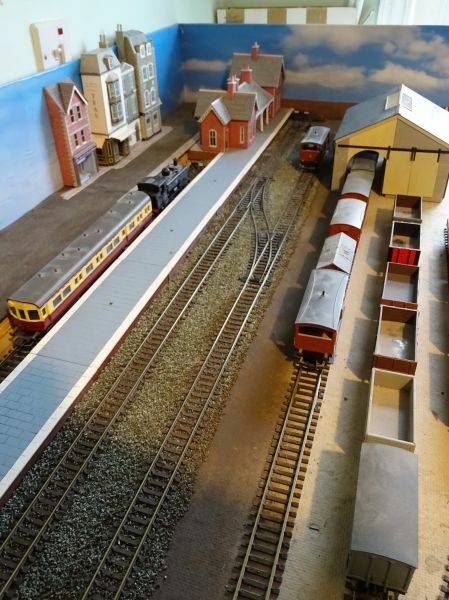 Model railways has been a life time hobby since I was given a Hornby Dublo 3-rail train set for Christmas when I was 10 years old back in 1963. I've only been able to start building a 'proper' layout in the last 10 years, albeit slowly and in fits and starts, but a recent prostate cancer operation has made me realise I need to get a move on! 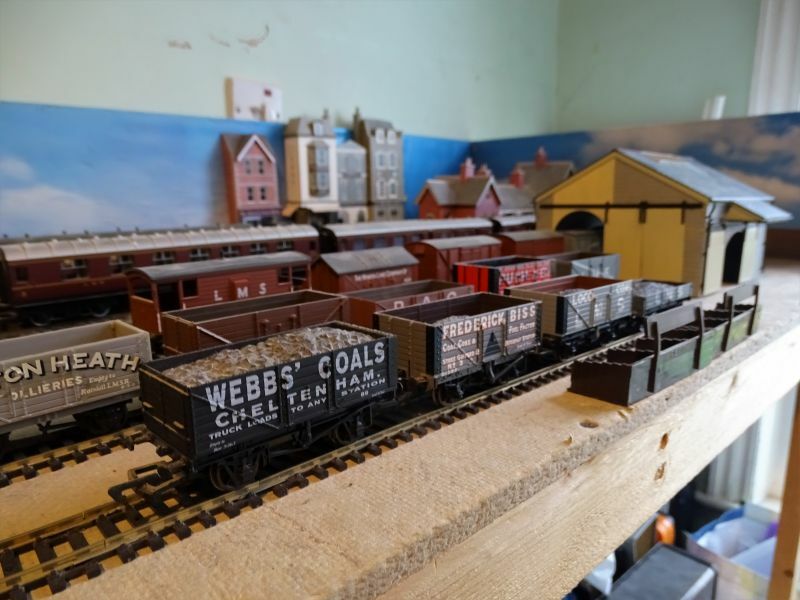 I'm building an L-shaped fiddle yard to branch line terminus layout, loosely based on a fictitious town in the Evesham/Tewkesbury area in the late 40s/early 50s - LMS with a separate GWR branch. While recovering from my operation, I've been catching up on building some of the kits I've been stockpiling over years - very therapeutic, I should add! I stumbled across YMRC when googling for information about the Superquick Elizabethan cottage and found the article by Gordon Curtis in February 2018 really helpful - I can't believe my good fortune in finding it as I bought the pre 80s version many years ago and have only just got round to building it....and during the intervening years the assembly instructions and glazing strip had disappeared, which is why Gordon’s article was so helpful! Finally finding the time to indulge in my favourite hobby.......that Hornby Dublo 3-rail train set is a long time ago! Hello Phil and welcome to YMRC, where you can usually find answers and information, but always receive a cheery welcome from like minded modellers. You're in my old stamping ground of Southampton and I remember seeing a fabulous Totton layout at the SMRC Eastleigh exhibition in January. I sincerely hope your recovery continues and that you get plenty of railyway therapy to help you along the way. I hope you recovery progresses well.......a warm welcome from Canada. Welcome to the group Phil a friendly crowd here always willing to help and im sure you can also help when needed. Superb 3rd piccy with a top class Coal wagon in the foreground. Thanks John - wow, guess where we were in September! Rocky Mountaineer from Jasper to Vancouver - you'd need a very big layout to include one of those freight trains we passed......unbelievable! Thanks Bill, yes I must confess I was assembling the Superquick Elizabethan cottage on a lap tray while watching Line of Duty on Sunday night!!!!! Greetings from Totton, I'm originally from Croydon but have lived in Southampton since 1989......and wouldn't go back! Thanks for your kind words, the recovery is going well so far! Thanks Matt, yes I've done a separate post to Gordon as I'm very grateful for his original article - you couldn't make it up! I'm now working on the low-relief terraced cottages, I'll have a browse to see if he's done those! Hello Phil from a West London based Bob Essery fan. I met him at a show a few years ago and he's one of the nicest guys you can hope to speak to - very humble. I model BR(NE) Region but his books on Operation are a real must - written from a railwayman's point of view. I often spend time on the IOW so on a good day can probably see Soton. Thanks Brian - my wife's maiden name is Webb so I had to buy that one didn't I......and Cheltenham is the right area!?!?!? I should add that her parents were from Truro and Perranporth was a popular childhood holiday destination! A warm welcome to the club. I came here as a child and thats why i moved here donkeys years ago. Truro has probably changed a bit since your wife was there. Like most places lots of building. Welcome Phil, good to have you join us. It's a very friendly place, full of members with patience and generosity - any help you need you will probably find it here, and any help you can give will be much appreciated. Welcome to the club Phil. Thank you very much Phil, pleased to help – and a warm welcome to the club! Your layout is looking good. I've not actually got round to building one yet, but I have put together a few buildings! Welcome to the club. And that's a fine layout you have there. A hearty welcome to the club Phil from me down on the edge of the Solent. Welcome to our online club from Chandlers Ford. We may have passed each other by at local exhibitions. In welcoming you here may I also invite you to pop along to Kemps Quay and pay us a visit at the Southampton Model Railway Society? You will be made very welcome. Good luck with all your modeling ventures.